post-title Why are there old framed cheques on the walls of Doheny and Nesbitt? Why are there old framed cheques on the walls of Doheny and Nesbitt? Home / 2018 / Why are there old framed cheques on the walls of Doheny and Nesbitt? 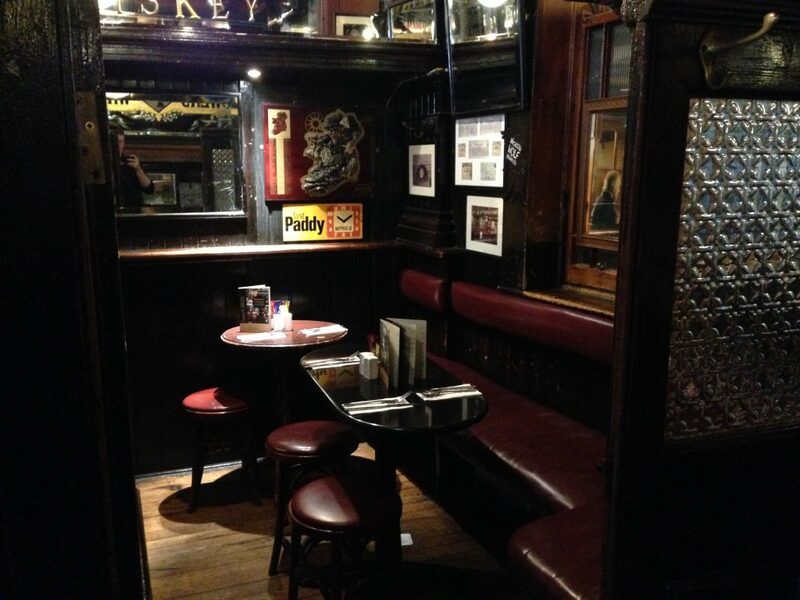 In the second snug in the front bar of Doheny and Nesbitt on Baggot Street there’s a few old drinks signs, photos, and general knick-knacks hanging on the wall. 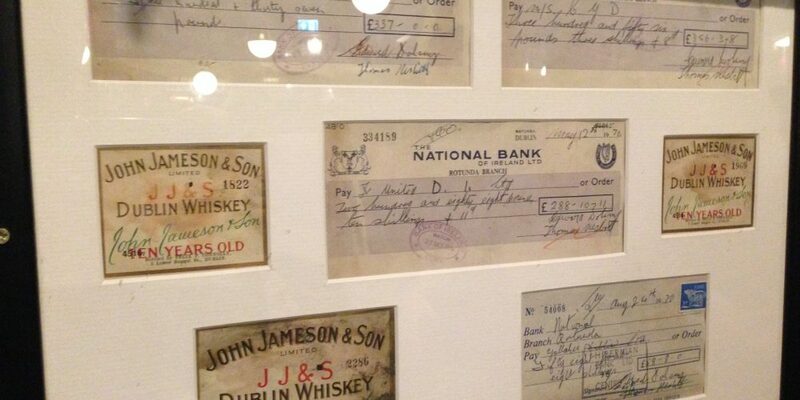 In one frame there are a few whiskey labels and 4 cheques from The National Bank of Ireland. 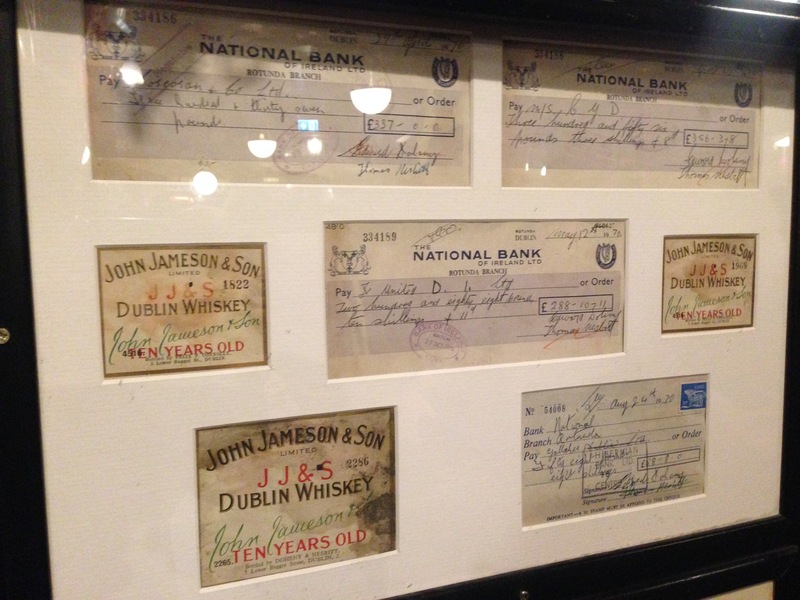 It might be puzzling as to why these cheques from 1970 to made out to various different people hangs on the wall of the pub. 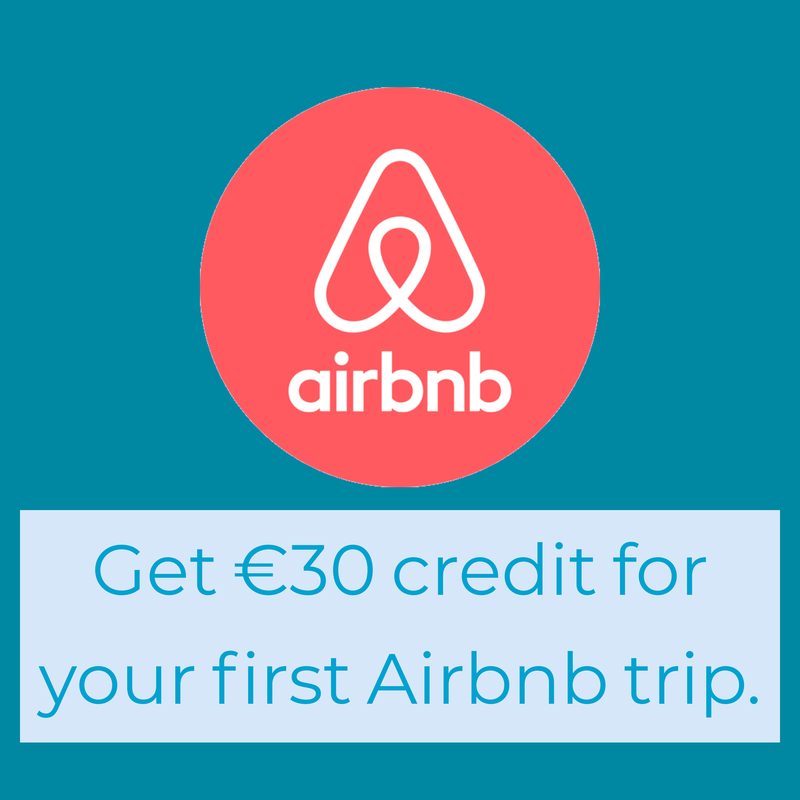 Well, in 1970 in Ireland there was a strike of bank staff. This meant that a country that largely operated on cheques to get paid found itself with a bit of a problem. People were still getting paid (so long as their employer had enough paper cheques to last them), but they had no way of depositing it in their bank or of cashing large amounts at a time when everyone was trying to do the same. So what Irish institution had enough cash reserves and regular income that they could cash a few cheques and effectively become the nations banks for 6 months? 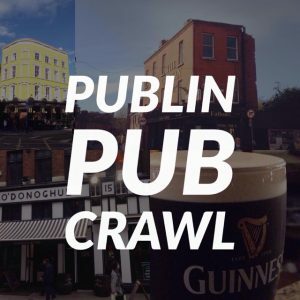 Pubs of course! As most people who came into pubs were likely regulars and had been subconsciously judged by publicans over the years of their patronage, it didn’t take much to deem whether a person handing over a cheque was of good moral character or trustworthy. Pubs all over the country collected these cheques over 6 months, giving out cash or credit for the pub on the understanding that once the strike ended and those banks opened up again, the pub would bring a sack full of them in and deposit months worth of trading in one go. Pubs would hold possibly hundreds of thousands of pounds in cheques at one time. There’s a famous story of a publican having a heart attack when he came home to see his wife had lit the fire. He had put a bag full of cheques in the chimney for safe keeping. Some £3 billion went through pubs and other retailers in this fashion during the bank strike of 1970. These cheques must have been found a few years after the bank strike or the bank returned them after they were processed. The pub, realising a quality story when they saw it then decided to frame them. That’s our assumption anyway. 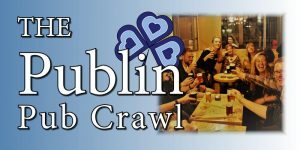 So that answers the question as to why there are a bunch of framed cheques hanging in the second snug of Doheny and Nesbitt on Baggot Street. It makes you wonder what other interesting back stories the rest of their decorative collection might hold. You can read more about the strike in this Independent article or listen to this BBC radio documentary on the subject.